A 1,000 signatures from children who want to have a say on HS2 were handed in today at 10 Downing St by 4 Hillingdon primary school children. These children stand to lose their homes, gardens, school playing fields, parks and scout hut. If they keep their homes they will sleep only 20m from 576 high speed trains a day and be educated just metres from the line. 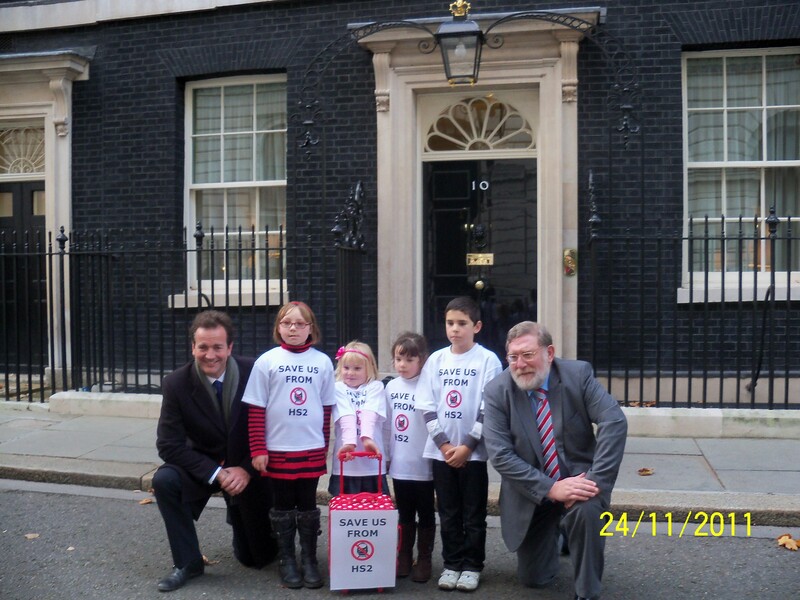 Local MPs Nick Hurd and John Randall accompanied them to Number 10.